Ms. Shanthijeyan and Ms. Girija.S attended one day workshop by Indian History Awareness & Research, on ‘ Multidisciplinary Approach to Indian History’ at Shri Balaji Hall, Nandanam on the 20th Nov. 2018 . 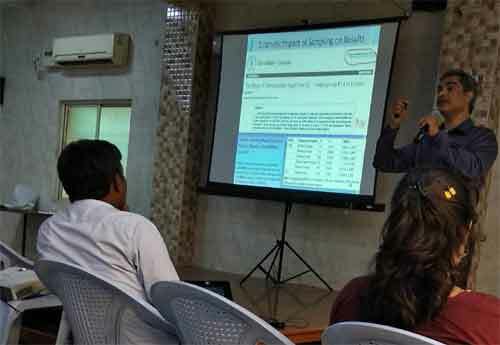 The purpose of the workshop was the Scientific Validation of Narratives in Indian History. The workshop was conducted by Dr.RajVedam.